The aim of this project was to get familiar with the website designing. To make people more aware about specialities of drones,our team decided to develop a website on drones. With working knowledge of website designing, we started understanding html and css.. None of us had ever experimented with html or css before, but we decided to learn it from scratch. HTML (Hyper Text Markup Language): HyperText Markup Language, commonly referred to as HTML, is the standard markup language used to create web pages.We used it create layout of web pages. CSS (Cascading Style Sheets): Cascading Style Sheets (CSS) is a style sheet language used for describing the presentation of a document written in a markup language.We used it to style our web pages. *Aids like Drupal, Bootstrap, were not used since we wanted to do it from scratch. We started by learning html5. W3 school was of great help. 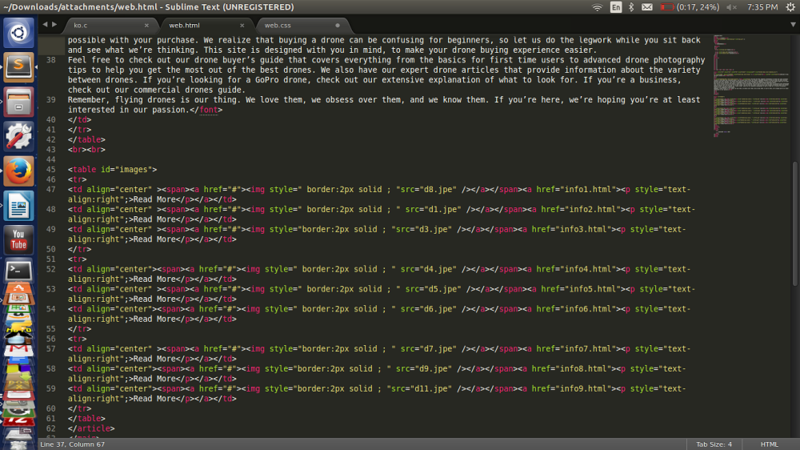 Then to style our pages we also learnt css3 from the new boston tutorials . We planned each and every little detail and worked day and night during our holidays. 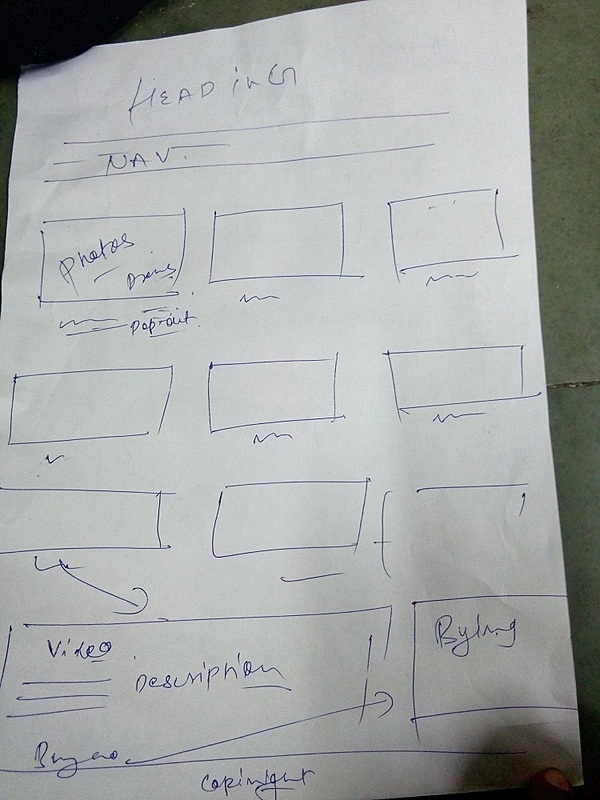 We had initial problems in positioning elemnts on the screen .But we wanted to give it a professional look. With this in mind, we worked accordingly. Overall it was a very good learning curve for all of us. Here are a few snapshots from our webpages such as Gallery ,Home page,hovering effects.